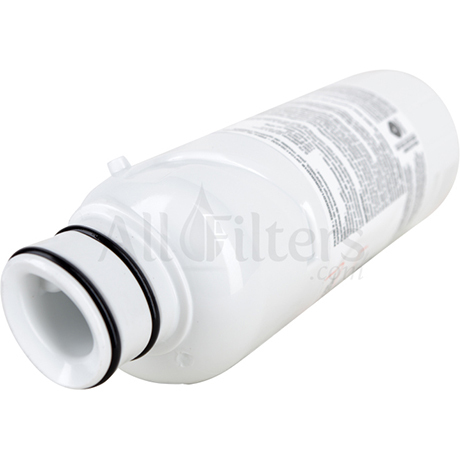 The genuine OEM Whirlpool W10413645A Interior Push Button Filter2 refrigerator water filter is used in Whirlpool bottom-freezer or French door refrigerators with filter access inside the fridge. It is small and has a translucent cartridge. 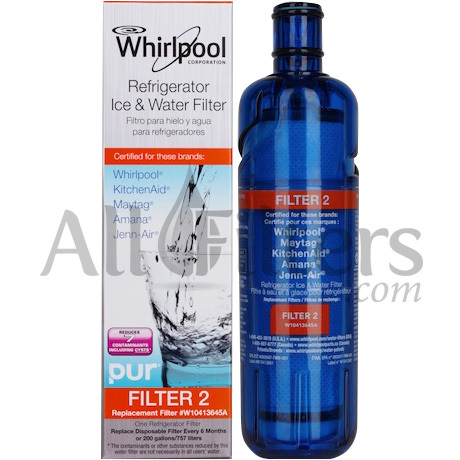 The Whirlpool / PUR Filter 2 refrigerator water filter is compatible and certified for refrigerators by the following brands: Whirlpool, Maytag, KitchenAid, Amana, and Jenn-Air. 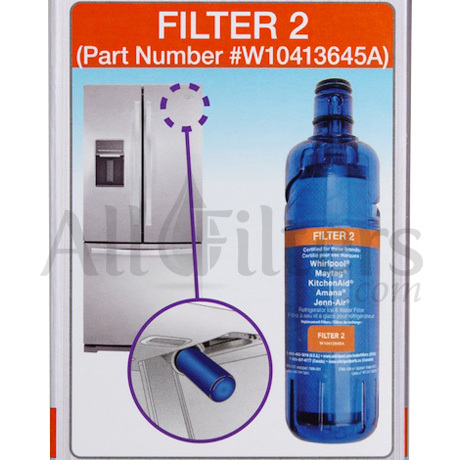 Locate the filter door in the right side of the refrigerator ceiling. Press in up on the filter cover door to release the door latch. The door will drop down. 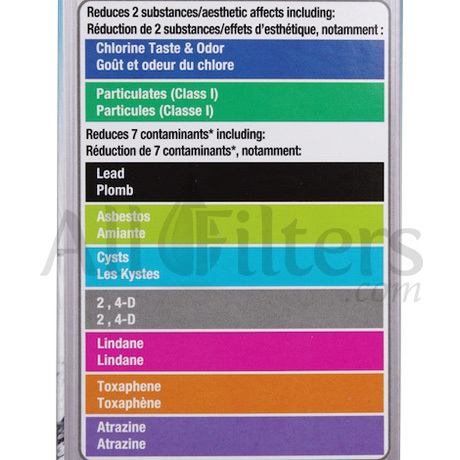 If you are replacing a filter rotation the used filter counter clockwise to remove it from the filter head. 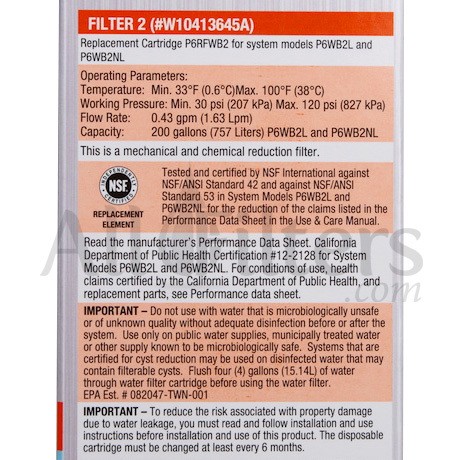 Note: there may be some water in the filter an some spilling may occur. 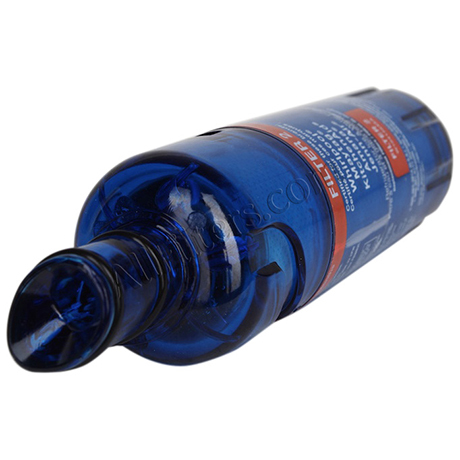 Take the new water filter out of the packaging and remove the cap. Be sure the O-rings are still in place after the cover is removed. 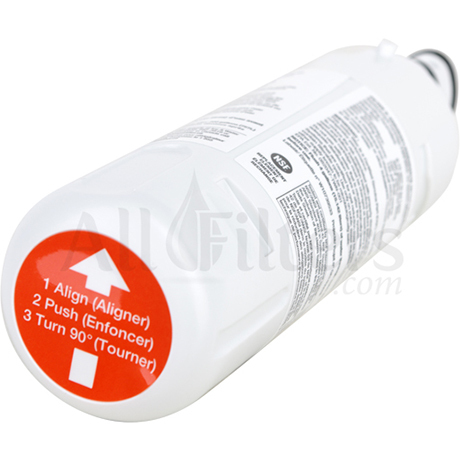 Align the arrow on the water filter label with the cutout notch in the filter head and insert the filter. Turn the filter clockwise until it locks into the housing. Lift the filter up into the compartment. Close the filter door completely. 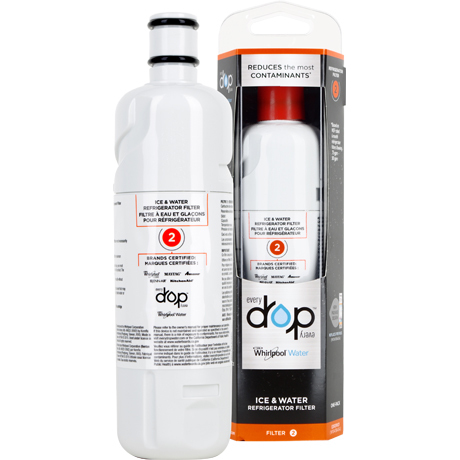 Reduce water spurts by flushing air from the system. 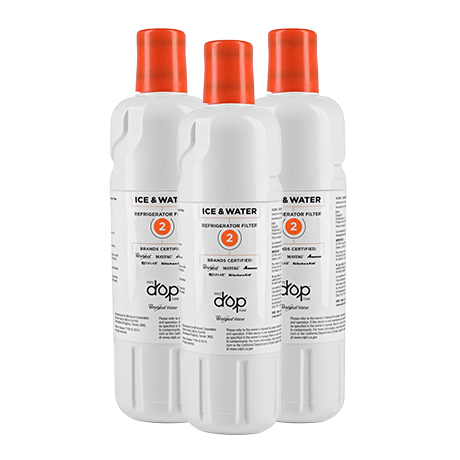 Run water continuously for 4 gallons (approximately 5 minutes) through the dispenser until water runs steady. Additional flushing may be required in some households where water is of poor quality.